Cork got their Munster League campaign off to a winning start in Mallow on Sunday, in their second match over the weekend. A strong second half showing eventually saw off what was a spirited Kerry challenge with the Kingdom boys trailing by 0-14 to 1-12 at half time. Shane Nolan with two points had Kerry ahead early in the second half but once Cork got into a rhythm they rattled off a succession of points to ensure a winning start to the campaign. Cork will now meet Limerick who also had to come from behind to see off Waterford in Dungarvan as Managers give their extended squad some game time. Cork manager Kieran Kingston will be pleased with some of the displays, including that of his son Shane who finished as top scorer while Daragh Fitzgibbon bagged the only goal early on as Cork took control. Kerry with Shane Nolan, Michael O’Leary and sub Jordan Conway impressing, kept in contention and trailed by just a point at half time in a game that saw Killian Burke and Seamus Harnedy forced off with injuries while Anthony Nash also out having hurt his back in the warm up. Still a win is a win and competition for places will certainly keep the interest up over the next few weeks as the new faces try to impress and earn their place for the league campaign. One newcomer Luke Meade certainly did his chances no harm on his second start over the weekend having played in the loss to UCC on Friday night, he came on as a sub and again did well in this game. Far bigger tests lie ahead in what could be a tough campaign for this emerging Cork side that enjoyed mixed fortune over the weekend. Cork: S Kingston 0-9, D Fitzgibbon 1-2, M Calahane 0-4, S Harnedy, L Meade and M Coleman 0-3 each, B Cooper 0-2, L McLoughlin and B Lawton 0-1 each. Kerry: S Nolan 0-9, J Conway 0-3, M O’Leary and P O’Connor 0-2 each, M Boyle and J Egan 0-1 each. Cork: P Collins, D Griffin, S McDonnell, K Burke, D Calahane, C Joyce, M Coleman, L McLoughlin, B Lawton, S O’Keeffe, S Harnedy, S Kingston, M Calahane, B Cooper and D Fitzgibbon. Subs used S O’Donoghue, L Meade, A Cadogan, C Murphy and C O’Leary. Kerry: A McCabe, S Weir, R Horgan, B Lyons, J O’Connor, D Dineen, T O’Connor, D Collins, P O’Connor, M O’Leary, M Boyle, B O’Leary, J Goulding, S Nolan and J Egan. Subs used J Conway, T Casey, P Boyle, P Lucid and J Godley. 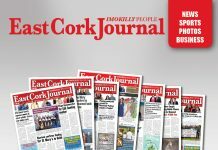 University College Cork claimed their first victory of the Canon O’Brien cup, when they proved too strong for a young Cork side at the Mardyke last Friday night in the opening game for Cork. UCC boasted some stellar names in their lineout including Waterford All Star Jamie Barron and Cork corner forward Alan Cadogan who finished as the games top scorer with seven points while Conor Lehane bagged six for Cork who had just three regulars on view with Cormac Murphy and Daniel Kearney joining Lehane in what was a side largely made up of u21 hopefuls. As an exercise it will have served its purpose with Luke Meade doing well for Cork while Billy McCarthy from Thurles Sarsfields impressed for UCC who led for the entire game with Anthony Spillane from Castlelyons opening their account. UCC raced four clear 0-6 to 0-2 early on and by half time led by 0-12 to 0-7 with Daniel Kearney pointing for Cork. With no real intensity to the game UCC continued to stay clear and while Cork did get a late goal from Tomas O’Connor, it was UCC that claimed the cup for the first time with a comfortable victory that will at least have pleased their management. For Cork a lot of work remains to be done even at this early stage of the season but Meade, goalkeeper Patrick Collins along with Lehane and Cadogan were the pick of the players on view. Cork; C Lehane 0-6, T O’Connor 1-0, L Meade and D Kearney 0-2 each, C Murphy, B Hennessy and D O’Driscoll 0-1 each. UCC: A Cadogan 0-7, B McCarthy 0-5, A Spillane, M o’Brien and D Hannon 0-2 each, G O’Brien, S Hegarty, R O’Shea and C Roche 0-1 each. Cork: P Collins, J Sheahan, E Gunning, D Browne, D Dooling, A O’Callaghan, C Murphy,C O’Leary, B Hennessy, C Lehane, L Meade, D Kearney, T O’Mahony, M O’Halloran and D O’Driscoll. Subs C walsh, T O’Connor, J Cashman, D Dalton, I Cahill and E Murphy. UCC: D Desmond, I Kenny, C Spillane, S Roche, N Motherway, C Gleeson, R Calahane, J Barron, R O’Shea, M o’Brien, B McCarthy, S Hegarty, A Cadogan, J O’Flynn and A Spillane. Subs J Barry, G O’Brien, D Hannon, N Cashman, C Browne, D O’Brien, B O’Sullivan and C Roche.